PlayGround has announced the thirty-six playwrights selected for the 2015-16 PlayGround Writers Pool. Over the next six months, these playwrights will generate more than 180 original short plays inspired by monthly prompts as part of the Monday Night PlayGround staged reading series. The top six plays each month will receive professional script-in-hand staged readings led by leading Bay Area directors and actors. PlayGround officially kicked off its 22nd season on Monday with a special Monday Night PlayGround “Alumni Night” featuring six short plays on the topic “Race Matters” by PlayGround alumni writers. The next Monday Night PlayGround is Monday, October 12 at Berkeley Rep, with six plays on an environmental topic to be announced, as part of the second annual Planet Earth New Play Festival. The remaining Monday Night dates are: November 16 (“Musical Theatre Night”), December 21 (“Holiday Extravaganza”), January 25 (“S.T.E.M. Night”, date still to be confirmed), February 15, and March 21 (“WomenArts Night”). Tickets are on sale for all performances and six-event subscriptions begin at $60. For more information and tickets, visit http://playground-sf.org/monday. 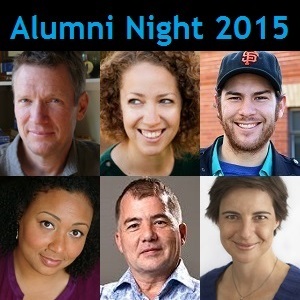 2015 Alumni Night. Photo by Jerome Joseph Gentes. The 2015-16 Writers Pool are: Zara Benner, William Bivins, Kathy Boussina, Erin Bregman, Rachel Bublitz, Madeleine Butler, Amy Claussen, Patricia Cotter, Victoria Der, Nancy Fishman, Jerome Joseph Gentes, Ruben Grijalva, Garret Groenveld, Tanya Grove, Karen Hartline, Colin Johnson, Melissa Keith, Sang Kim, Elliott Kopstein, Bonnie Kwong, Karen Macklin, Katie May, Naomi Newman, Isaac Ontiveros, Erin Panttaja, Evelyn Pine, Madeline Puccioni, Jennifer Roberts, Amy Sass, Kirk Shimano, Cleavon Smith, Amber Sommerfeld, Cherie Song, Martha Soukup, Aimee Suzara, Steven Westdahl, Josh Williams, Davern Wright, Zoe Young, Maury Zeff, Lesli Zephyr, and Ignacio Zulueta. In addition, PlayGround has selected ten playwrights to participate in its Playwrights Residency program, each working on the development of a new full-length play over the next year: William Bivins, Erin Bregman, Rachel Bublitz, Victoria Der, Ruben Grijalva, Garret Groenveld, Evelyn Pine, Amy Sass, Steven Westdahl, and Davern Wright. Katie May’s ABOMINABLE (or The Misappropriation of Beverly Onion by Forces Beyond her Control) was selected for the Lark’s Playwrights Week, Oct 2-8, and will receive a public reading on Oct 7 at 7pm. http://www.larktheatre.org/whats-happening/events/playwrights-week-2015-event-schedule/ A PlayGround commission and 2014 O’Neill National Playwrights Conference semi-finalist, the play is scheduled for its world premiere in a PlayGround co-production in June. Evelyn Jean Pine’s short play, HALF LIVES ON THE HIGHWAY, the imagined meet-up between Egyptian atomic scientist Sameera Moussa and Hollywood actor Rita Hayworth will be part of 365 WOMEN A YEAR IN LOS ANGELES: an afternoon of new plays about extraordinary women in history, at Samuel French Bookshop in Los Angeles at 1:30 PM on Saturday, September 26. Plays by PlayGround-LA stalwarts, Allie Costa and Jennie Webb, are also part of the show. Tania Katan is sharing her superhero powers of storytelling around the country, speaking about the viral campaign she instigated at Axosoft, IT WAS NEVER A DRESS stops include the international S.H.E. Summit in New York, October 6 and 7th, as well as the Business of Software in Boston on September 22nd. 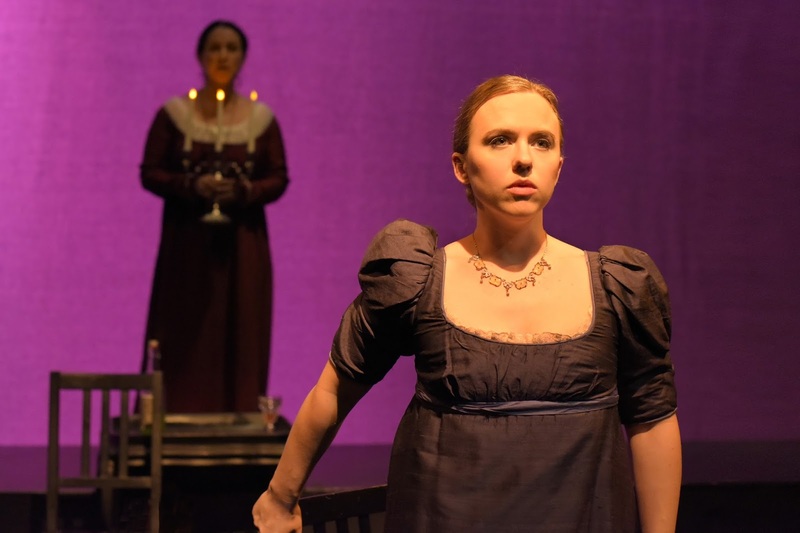 Louis Parnell is directing the world premiere of MOMENTS OF TRUTH, a new musical by Caroline Altman and Patricia Milton, which will play Sept 18-Oct 19 at the Royce Gallery in SF. After that, he will appear in THE NETHER at the San Francisco Playhouse in January, as well as workshopping ENTANGLEMENT, a new play by AJ Baker in which he will both act and direct. Ignacio Zulueta is the conceptual world designer for Matthew Briar and the AGE OF RESURRECTION at Epicimmersive.com. Send him your short plays about love to be considered for production in Bindlestiff Studio's 2016 Love Edition (http://www.bindlestiffstudio.org/?q=node%2F1151) by Sept. 8. Ken Sonkin just finished directing Michael Patrick Gaffney’s one man show, THE OLDEST LIVING CATER WAITER at Z Below. He is also the Head Writer for Killing My Lobster’s HALLOWEEN SHOW and ROSEMARY’S LOBSTER at PianoFight. Liz Anderson begins production this month for her upcoming webseries NECESSSARY EVIL, and her film collaboration with Katie May, RAPUNZEL’S ETYMOLOGY OF ZERO, is now complete and hitting festivals! Robert Sicular is appearing in the second half of the run of ONE MAN, TWO GUVNORS at South Coast Rep which played this Spring at Berkeley Rep. Opens September 11th and plays through October 11th. Jon Tracy is directing MUCH ADO ABOUT NOTHING with TheatreFirst, opening September 12th at John Hinkle Park. Bonnie Wailee Kwong's launch party for her poetry book, RAVEL, will be held on Sept 26, 2-6 pm at Random Parts Gallery in Oakland. Playground Company members and their friends are invited. There will be a reception, performances of her poetry, and showings of her digital poems. Ravel was a finalist for two national poetry book awards. Brian Herndon is in rehearsal for THE NANCE, and will be reprising his role as Mr. Elton in TheatreWorks’ revival of JANE AUSTEN’S EMMA. Teddy Spencer is excited to return from a stint in South Bend, IN where he is performing in William Shakespeare’s long lost first play, ABRIDGED at the Notre Dame Shakespeare Festival. He will also begin rehearsals for Edward/Robert Ferrars’ SENSE & SENSIBILITY at the Sacramento Theatre Company alongside his partner Lindsey Marie Schmeltzer. Madeline Puccioni's play, THE SATURDAY NIGHTERS, will be a structural part of Towne Street Theatre L.A.'s IN RESPONSE show, an ongoing multi-media exploration of racism and a theatrical "response" to police brutality against black people, and the numerous police shootings of unarmed black men in the news of late. Madeline is a company member of TST. THE SATURDAY NIGHTERS was first developed for PlayGround last year. Naomi Newman will be doing two staged readings on Oct. 4 of her 10-minute plays about climate change (one written for Playground) at Spirit Rock Meditation Center's Sustainable Practice for a Sustainable World all day event. Douglas B. Giorgis just completed playing Wilbur in CHARLOTTE’S WEB at Marin Theatre Company and will open the world premiere of MOMENTS OF TRUTH in September as The Man with 3 Girls Theatre Co.
Michael Barrett Austin recently closed Central Works' PROJECT AHAB; OR, EYE OF THE WHALE at the Berkeley City Club, and is looking forward to the new PlayGround season and to meeting his first daughter, arriving any day now!